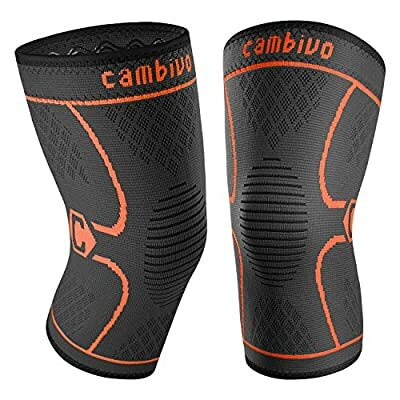 Whether you're a total exercise novice or a fitness pro, we make sure that you get comfort, style and value for money, that's why we perfected our knee sleeves with 3D knitting technology for breathable and secure fit. It's made of higher quality 4-way stretching material for superior comfort, flexibility, durability and warmth. ACL is the most common injury among athlete or people who are into sports, as well as meniscus tear caused by twisting and turning, often with the foot planted while the knee is bent and most doctors recommend the use of compression knee sleeves for post-surgery knee exercises. Also an effective support for swollen knees also known as water on knee, which limits knee function and flexibility leading to knee stiffness and bruising. 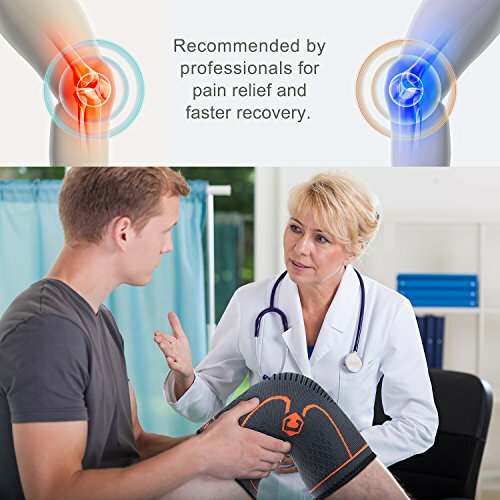 Recover faster from joint pain, sprains, and patellar tendonitis with the sleeves' tight but breathable compression. When worn around the knee, the 3D elastic weaving will warm the surrounding muscles helping them to relax. Despite the tightness of the sleeve, the flexible material is still breathable to keep sweating to a minimum. 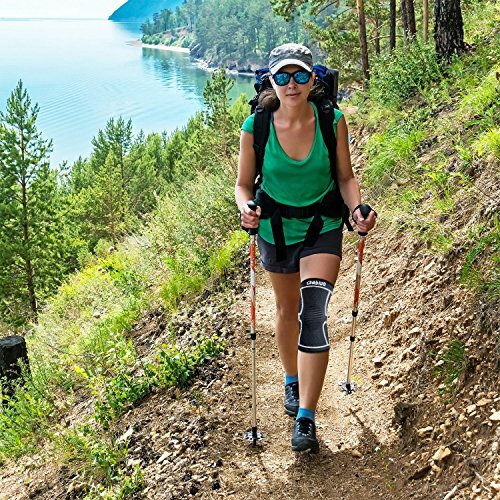 Be more active and confident wearing a knee brace that accommodates comfort and movement without an adjustable knee strap. The extra length provides the stability you need. The knee sleeves' evenly distributed weave ensures that your patella, joints, and the surrounding areas get an equal amount of pressure. **Measure the circumference of your thigh 4" or 10 cm above the center of your knee cap. If you fall between measurements, order a size up for comfort. BENEFITS - Effective in managing knee pain caused by exercise or any activity that puts pressure on your knees, reduces swelling, inflammation, stiffness and supports in muscle recovery, also it has heating effect for muscular recovery SPORTS - Suitable for all sports activities that involve a great amount of stress on the joints like running, basketball, soccer, football, golf, cycling, tennis, hiking, volleyball, skiing and much more INJURY PREVENTION and PAIN RELIEF - Commonly used by people suffering from nagging knee injuries, stiff or sore muscles & joints, arthritis, tendonitis, and other common conditions ANTI-SLIP SILICONE - Our knee sleeve has the double-lined anti-slip silicone for superior comfort and is thicker than the market-average knee sleeves to provide extra reinforcement without sacrificing comfort 100% RISK-FREE and SATISFACTION GUARANTEED - We are committed to help you get the most out of your Cambivo Knee Sleeves and that's why our product is backed by a 1 (One) Year Warranty. ORDER NOW! Get a FREE EBOOK with your purchase.